The first generic version of atorvastatin calcium tablets (Lipitor). Ranbaxy Laboratories Ltd. will make generic tablets in 10 mg, 20 mg, 40 mg and 80 mg strengths. Zolpidem tartrate sublingual tablets (Intermezzo) to treat insomnia characterized by middle-of-the-night waking followed by difficulty returning to sleep. This is the first time the FDA has approved a drug for this condition and it should only be used when a person has at least four hours of bed time remaining. Intermezzo is a lower-dose form of zolpidem than Ambien. The recommended and maximum dose is 1.75 mg for women and 3.5 mg for men, taken once per night. In trials involving more than 370 patients, patients taking the drug fell back asleep sooner than people on placebo. The most commonly reported adverse reactions were headache, nausea and fatigue. Ruxolitinib (Jakafi), the first drug approved specifically to treat myelofibrosis. 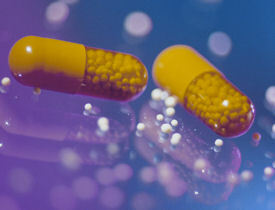 The pill inhibits enzymes involved in regulating blood and immunological functioning. Approval was based on two trials with 528 patients who were resistant or refractory to available therapy or ineligible for allogeneic bone marrow transplantation. More patients receiving ruxolitinib had reductions in spleen size and other myelofibrosis-related symptoms than those receiving placebo or best available therapy. The most serious side effects include thrombocytopenia, anemia, fatigue, diarrhea, dyspnea, headache, dizziness and nausea. Sapien THV, the first artificial heart valve to treat senile aortic valve stenosis without open-heart surgery. The valve is made of cow tissue and polyester supported with a stainless steel mesh frame and is inserted by catheter through the femoral artery. Approval is based on a study in 365 patients not eligible for open-heart surgery. Patients receiving the valve experienced two and a half times more strokes and eight times as many vascular and bleeding complications than patients receiving other treatments; however, they were more likely to survive one year after surgery. The valve is approved for patients who are not eligible for open-heart surgery for replacement of their aortic valve and have a calcified aortic annulus. Ovation Abdominal Stent Graft System, a smaller-diameter endograft for repairing abdominal aortic aneurysms. The 20-mm system was approved as a Humanitarian Use Device based on a study in which four participants were treated with it and tracked for a year, as well as a trial of an earlier version. Investigators will continue to track participants for complications and adverse events for five years. The device is approved for patients with iliac or femoral artery access of fewer than 7 mm and an aorta with an inner diameter between 15.5 mm and 17.4 mm. Aptus EndoStapling system, the first system to repair a failed or problematic aortic endograft. The product was approved through the de novo reclassification process. A year of follow up was conducted on 154 patients implanted with 810 staples and none of the staples had fractured and no patients experienced migration. One subject needed an additional intervention to address an endoleak. Asparaginase Erwinia chrysanthemi (Erwinaze) to treat patients with acute lymphoblastic leukemia who have developed a hypersensitivity to E. coli-derived asparaginase and pegapargase chemotherapy drugs. Approval was based on one clinical trial of 58 patients in which all evaluable patients showed sustained asparaginase activity levels that correlate with better leukemia control and survival, as well as additional safety data from 843 patients. Abbott ESA Chagas ( Trypanosoma cruzi [ E. coli, Recombinant] Antigen), the first test for use as an additional, more specific <@body-bold>test on human serum or plasma specimens found to be positive for antibodies to T. cruzi. T. cruzi causes Chagas disease. Aflibercept (Eylea) to treat patients with wet age-related macular degeneration. The drug, which is injected into the eye either every four weeks or every eight weeks by an ophthalmologist, was approved based on two clinical trials involving 2,412 adult patients in which it was as effective as ranibizumab injection in maintaining or improving visual acuity. Most commonly reported side effects included eye pain, conjunctival hemorrhage, vitreous floaters, cataract and an increase in eye pressure. Hemacord, the first licensed hematopoietic progenitor cells-cord (HPC-C) cell therapy. Approval was based on safety and effectiveness data submitted to a public docket and data submitted in the license application demonstrating compliance with other regulatory requirements. The therapy has a boxed warning regarding the risks of Graft Versus Host Disease, engraftment syndrome, graft failure, and infusion reactions, each of which may be fatal. The FDA is currently sampling and analyzing compounded hydroxyprogesterone caproate products and the bulk active pharmaceutical ingredients used to make them. According to K-V, the manufacturer of the FDA-approved version of hydroxyprogesterone caproate (Makena), there is variability in the purity and potency of the compounded products. While the agency's analysis is ongoing, the FDA issued a reminder to physicians and patients that, as with other approved drugs, greater assurance of safety and effectiveness is generally provided by the approved product than by a compounded product. The FDA recently alerted the public to serious bleeding events that have been reported in patients taking dabigatran (Pradaxa). Labeling for the drug has not changed, and the agency continues to believe that dabigatran provides an important health benefit when used as directed. But the agency will be investigating the drug's bleeding risk. In a large clinical trial (18,000 patients) comparing dabigatran and warfarin, major bleeding events occurred at similar rates with the two drugs. However, the FDA is working to determine whether the reports of bleeding are occurring more commonly than would be expected and will communicate any new information on the risk of bleeding when it becomes available. Requirements for restricted distribution and additional safety data collection have been lifted from platelet-booster drugs romiplostim injection (Nplate) and eltrombopag tablets (Promacta), the FDA announced. The drugs will continue to have Risk Evaluation and Mitigation Strategies (REMS) programs related to their risk of bone marrow changes, higher risk for blood clots, possible worsening of blood cancers, and worsening low blood platelet count after stopping the drugs. However, the FDA concluded that underlying medical conditions in patients with chronic immune (idiopathic) thrombocytopenia made the safety data collected by the REMS programs difficult to interpret, not informative and no longer necessary to ensure that the benefits of the drugs outweigh their risks. Approval has been revoked of the breast cancer indication for bevacizumab (Avastin), because the FDA has concluded that the drug has not been shown to be safe and effective for that use. Bevacizumab will still remain on the market as an approved treatment for certain types of colon, lung, kidney and brain cancer (glioblastoma multiforme).